Florence could cause dangerous surf and rip currents along parts of the U.S. East Coast this weekend as the storm swirls across the Atlantic, according to forecasters at the National Hurricane Center. “The risk of other direct impacts associated with Florence along the U.S. East Coast next week has increased. However, there is still very large uncertainty in model forecasts of Florence’s track beyond day (five), making it too soon to determine the exact location, magnitude, and timing of these impacts,” hurricane specialist Robbie Berg wrote in a forecast advisory. Improving atmospheric conditions were expected to allow Florence to regain its former strength. The storm reached major hurricane status Wednesday, peaking with maximum sustained winds of 130 mph. 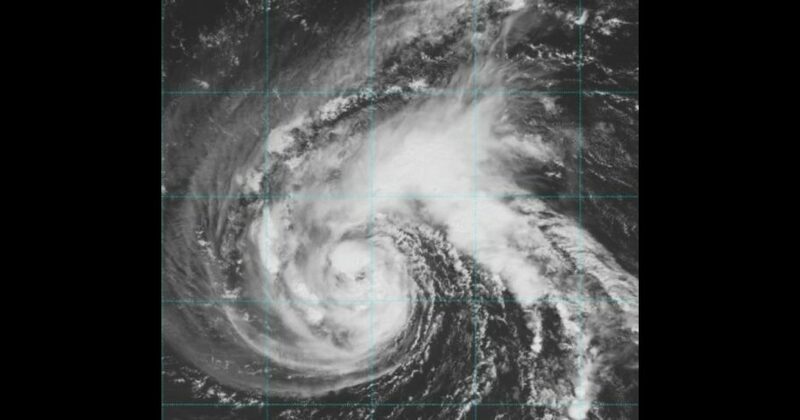 Meanwhile, two low pressure systems off the coast of Africa behind Florence also had high chances of developing into tropical storms, forecasters said. “Since we are near the peak of hurricane season, this is a good time for everyone who lives in a hurricane-prone area to ensure they have their hurricane plan in place,” hurricane specialist David Zelinsky wrote in a forecast advisory. The National Hurricane Center said Florence’s maximum sustained winds Friday night were estimated to be 60 mph. The storm was centered about 875 miles east-southeast of Bermuda and moving west at 7 mph.